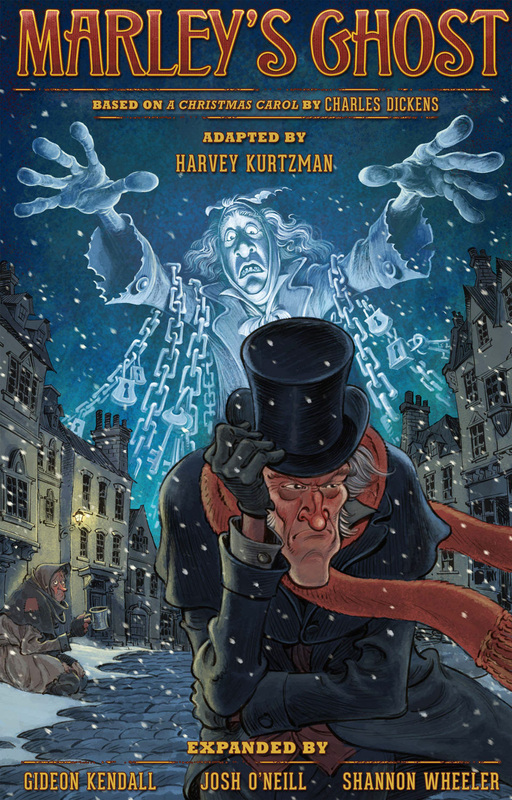 ComiXology debuts the comiXology Originals release – Harvey Kurtzman’s Marley’s Ghost, the graphic novel adaptation of Charles Dickens’s beloved classic A Christmas Carol – at a special introductory price of $2.99 on comiXology and free for comiXology Unlimited and Kindle Unlimited subscribers. 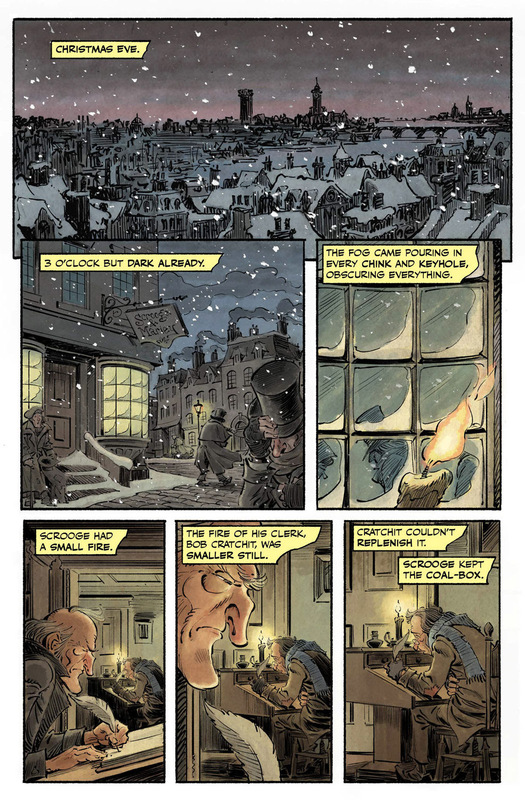 Just in time for the holiday season, comiXology is proud to bring readers Harvey Kurtzman’s Marley’s Ghost(120 pages / color), a gorgeous graphic novel based on Harvey Kurtzman’s unfinished work. 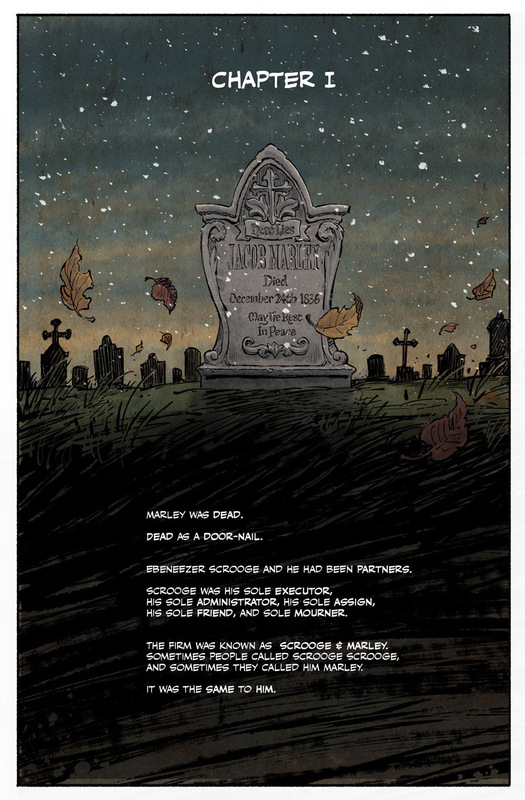 Harvey Kurtzman’s Marley’s Ghost will be available for purchase on comiXology and Kindle as part of the comiXology Originals line of exclusive digital content. 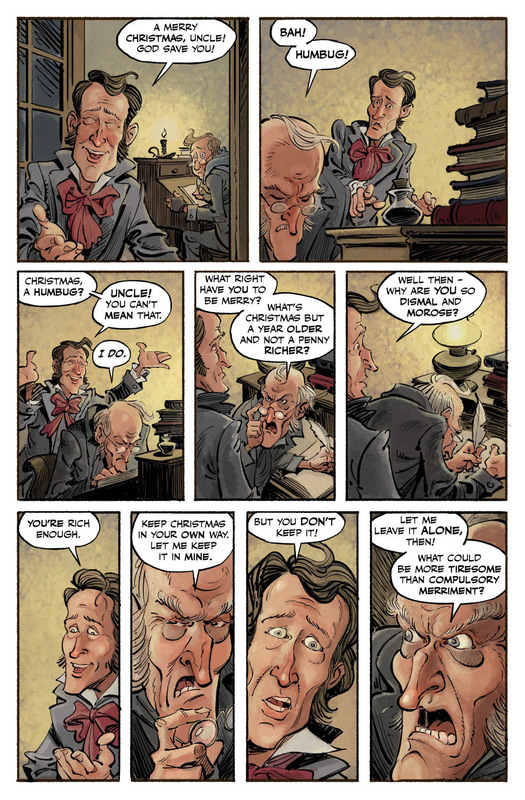 Readers can also enjoy this new telling of the classic holiday tale by signing up for a free 30-day trial of comiXology Unlimited or Kindle Unlimited. 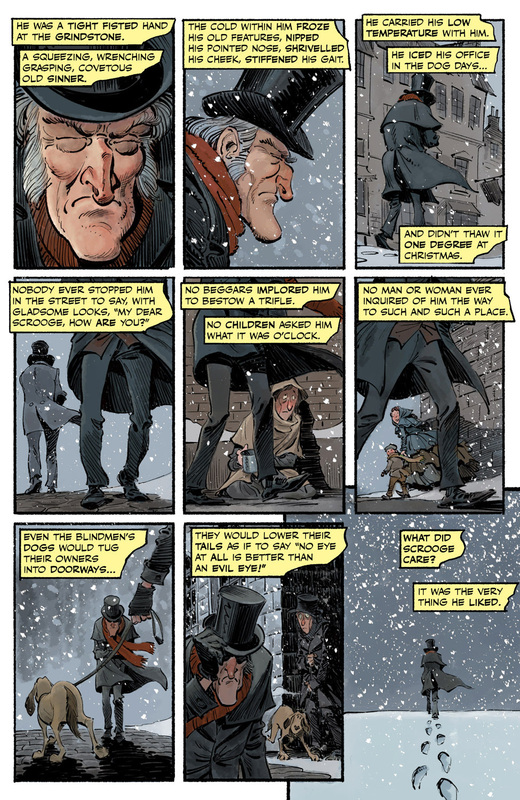 In the 1950s, legendary comics creator Harvey Kurtzman had plans to adapt Charles Dickens’s classic story A Christmas Carol into what would become known as a graphic novel. However, the project was never brought to fruition and the pages, thumbnails, and notes that Kurtzman had created remained unfinished. Artist Gideon Kendall and writers Josh O’Neill and Shannon Wheeler– under the supervision of the Kurtzman Estate and book packagers Kitchen, Lind & Associates – teamed up to finish Kurtzman’s dream project for comiXology. Harvey Kurtzman’s Marley’s Ghost adapts and expands upon Kurtzman’s extensive breakdowns and notes to make his long-lost vision a reality. ComiXology Originals offers customers a unique line up of digital titles that are available exclusively for comiXology and Kindle customers. ComiXology Unlimited offers over 10,000 comics, graphic novels and manga for just $5.99 a month with a 30-day free trial at comixology.com/unlimited and is available on the comiXology app for Fire Tablet, Android, iOS and on the web at comixology.com. Kindle Unlimited offers over 1 million titles, thousands of audiobooks, and select current issues of popular magazines for just $9.99 a month with a 30-day free trial at amazon.com/kindleunlimited.